A magazine was first published in 1731 and have been used to feature articles, stories, etc. about certain topics. 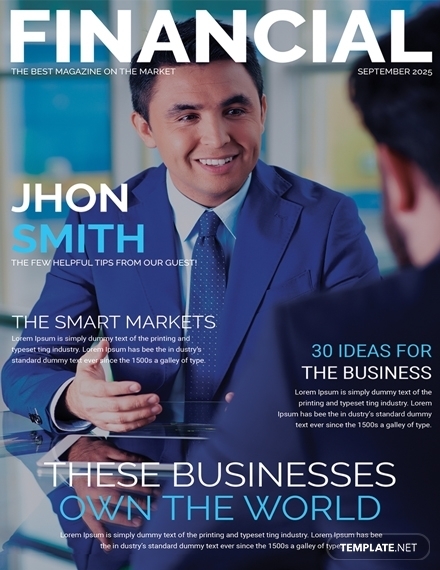 It is a periodical publication that can be used as an entertainment material, but more so as a marketing tool. In this article, various templates that you can download are given along with famous magazine examples that you can take inspiration from. To make sure customers have a complete view of the new products and services provided by your tech company, you need to produce a tool that can comprehensively do so. 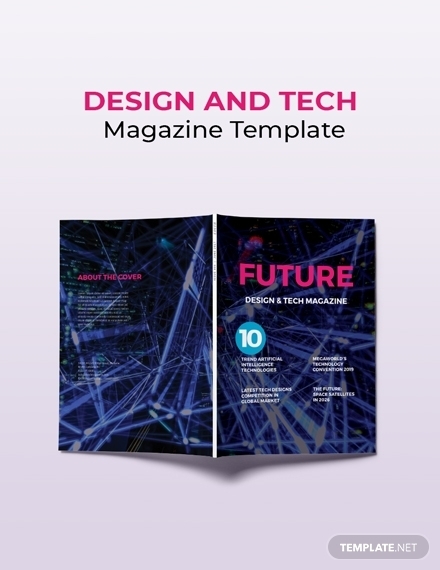 In this case, this design and tech magazine template is the perfect tool for you. You can effectively showcase reviews, present unique specs, provide insightful articles about new technology and the latest gadgets. Men also need a source of inspiration to improve their fashion sense. 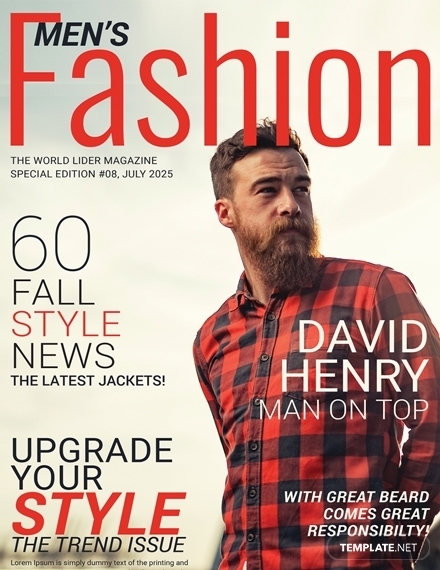 A men’s fashion magazine template that will allow you to produce a high-quality layout, photo, and graphics is all you need. This template focuses on men’s fashion in the hopes you not only market clothing and other fashion-related materials but also to generate sales. You can download and edit this template in Adobe Illustrator, InDesign and Photoshop, MS Word and Publisher, and Apple Pages. 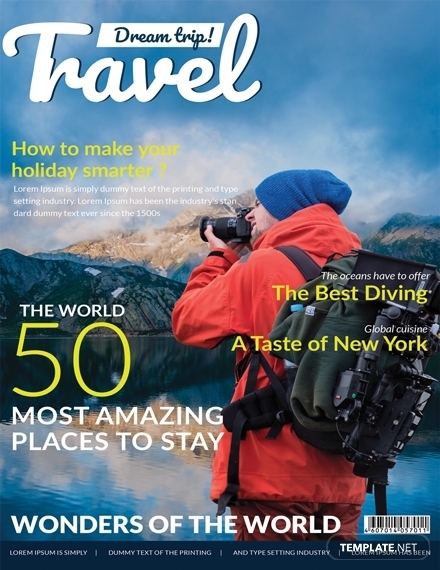 Let your clients have a glimpse of what’s in store for them when they travel through your magazine. This modern travel magazine template will allow you to present high-quality images of travel destinations along with descriptions, articles, review, recommendations, etc. since it uses the first-rate layout. Download this template to give your clients a complete and informative overview of traveling. 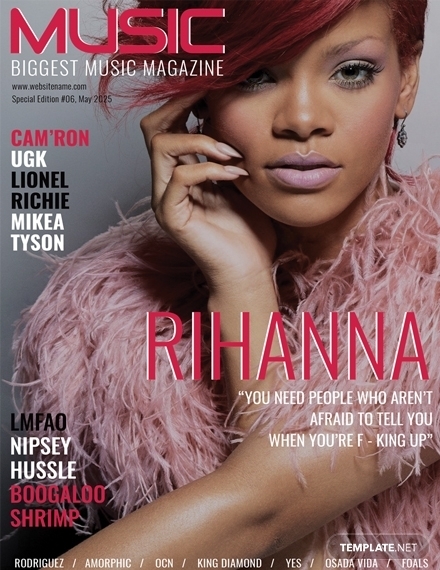 Some people anticipate releases of music magazines especially when their favorites artist is on the cover. More than just presenting news and relevant information about the music industry, it also serves as a collectible item for fans. In this sense, it is important that the magazine has a high-quality layout and good finish. You can download and customize this music magazine cover template in Adobe Illustrator, InDesign and Photoshop, MS Word and Publisher, and Apple Pages. If you want a clean and modernly structured layout magazine to present new styles of architecture, then this is the template for you. More than just the layout, this architecture magazine template also uses high-quality photos and graphics files that you can easily customize to fit your aesthetic and preference. Capturing your target readers’ interest despite heavy and serious topics discussed in printed material is quite a challenge. But this can be achieved with the use of an interesting cover page. 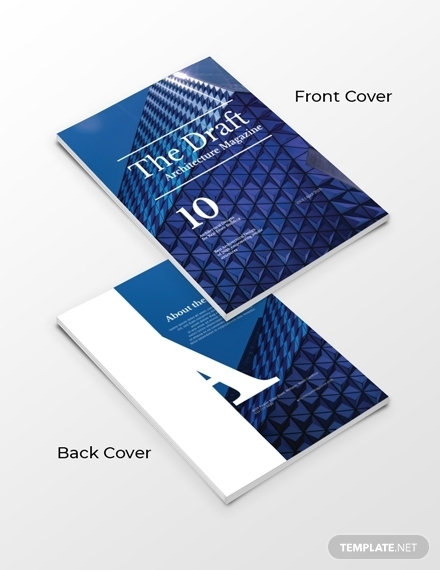 This financial management magazine cover page template is easy to edit and fully customizable. You can easily adjust the first-rate layout to embody your brand and overall aesthetics. 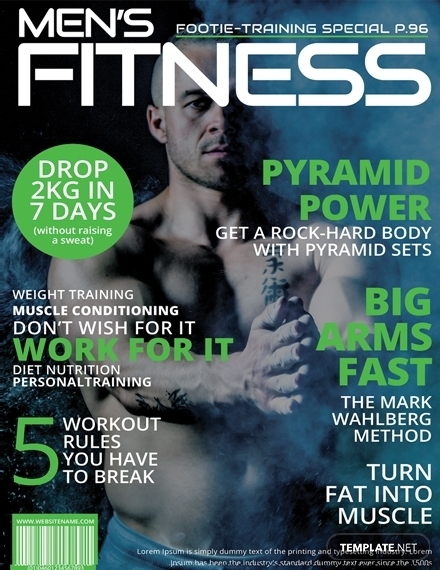 This men’s fitness magazine template is a high-quality template that you can use to give informative details to your clients. The layout will allow you to embody a macho aesthetic without sacrificing its ability to be applicable to other readers as well. Download this template to present fitness-related information that your clients will surely appreciate. The overall process of wedding planning is stressful and hectic, and the smallest effort to help the to-be-wed couples will surely be appreciated. 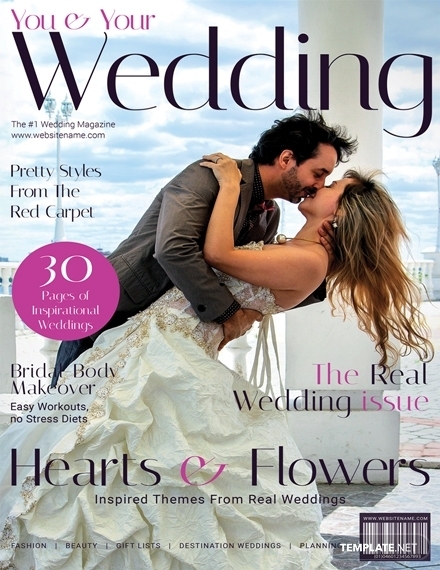 That’s why this modern wedding magazine template is the perfect template to use if you are interested giving inspiration and helpful tips to couple planning for their big day. You can edit this template in Adobe Illustrator, InDesign and Photoshop, MS Word and Publisher, and Apple Pages. 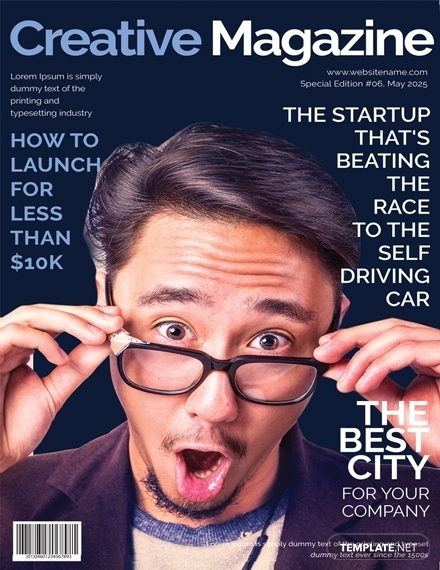 A creative magazine is a useful tool that can be used by anyone in search of inspiration. This creative magazine template will allow you to get a head start with the overall designing and creating process. This fully layered template is free for download and can be edited through Adobe Illustrator, InDesign and Photoshop, MS Word and Publisher, and Apple Pages. Nowadays, people are becoming conscious of what they put in their bodies. 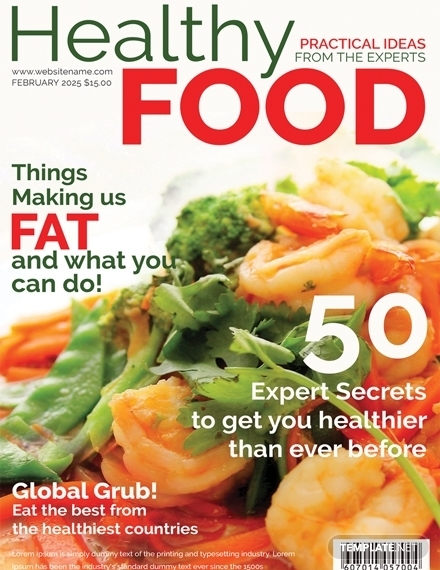 And this healthy food magazine template is very timely and needed. This template with a high-quality, customizable layout will allow you to present articles that will help people be aware of their health, eating tips and recipes, etc. This sample is from a famous New York City-based independent magazine, Paper Magazine. It focuses on fashion, popular culture, nightlife, music, art, and film. On the cover is a pop singer-rapper and a dominant fashion darling Brooke Candy. It features the eccentric and edgy personality of the cover girl. Glamour Magazine‘s Beauty Book features the current beauty trends of this season. 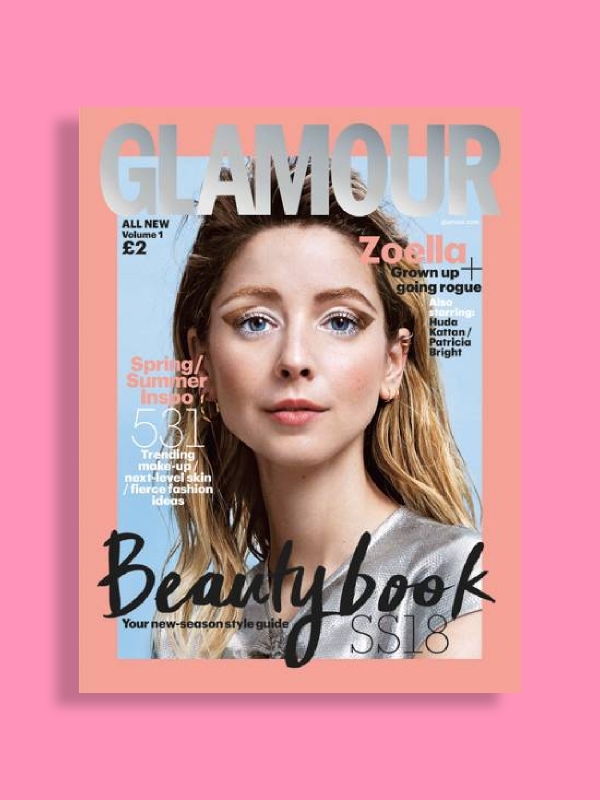 In this release, YouTuber Zoella is on the cover with a two-tone, gold and white graphic winged eyeliners that were totally in season. This beauty book features tips and tricks as well as routines that readers can easily follow to fit the trend. Fall is surely when people start layering their outfits for the gods. And in this issue of Instyle Magazine, new outfit ideas, as well as the season’s best footwear, is featured. Aside from that, hairstyles that readers can easily follow to achieve that red carpet-ready hair is also featured. The magazine incorporated all topics related to fall that readers surely found informative and helpful. Models and artists always find it an honor and privilege to be the cover of the widely famous Vogue Magazine. This magazine focuses on fashion, beauty, culture, living, and runway. 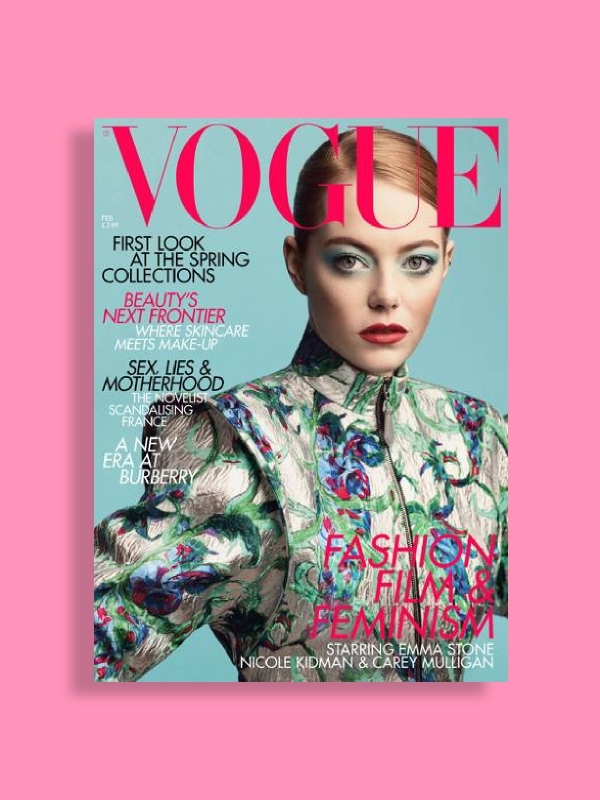 In this issue, the award-winning actress Emma Stone graces the cover for stories about film and feminism. But more than that, articles about lifestyle, beauty, etc. are also featured on the issue. The Disney star Zendaya is on the cover of July 2016 Cosmopolitan magazine and has explained the real reason she came back to Disney. But more than that, lifestyle, beauty, food, and other helpful articles are found on the issue. Cosmopolitan is an international fashion magazine for women; hence, its contents are mostly tailored to the women demographic. 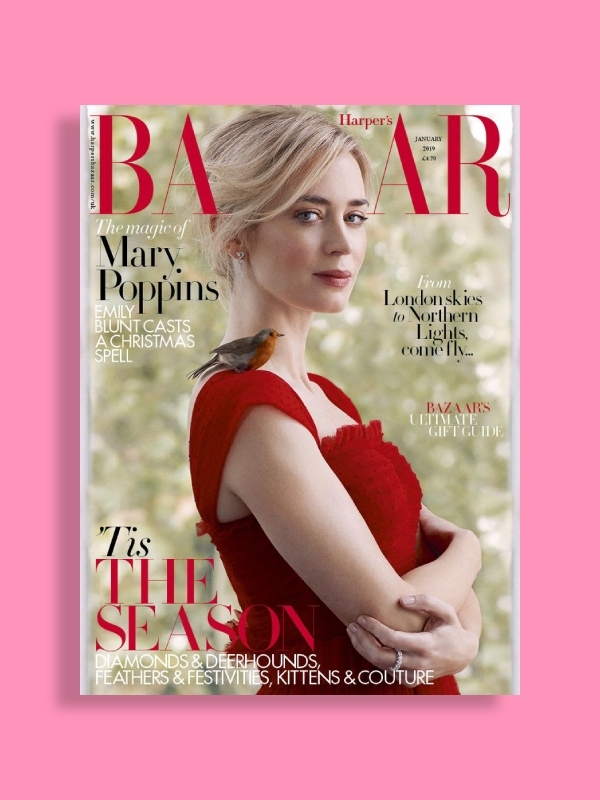 Harper’s Bazaar is an American women’s fashion magazine aimed at what it calls “discerning ladies.” On this release, the award-winning actress, Emily Blunt, is on the cover. The main story is all about Blunt’s take on motherhood and her new role as Mary Poppins. The magazine also features stories about couture fashion, lifestyle, and other interesting articles about women’s interests.